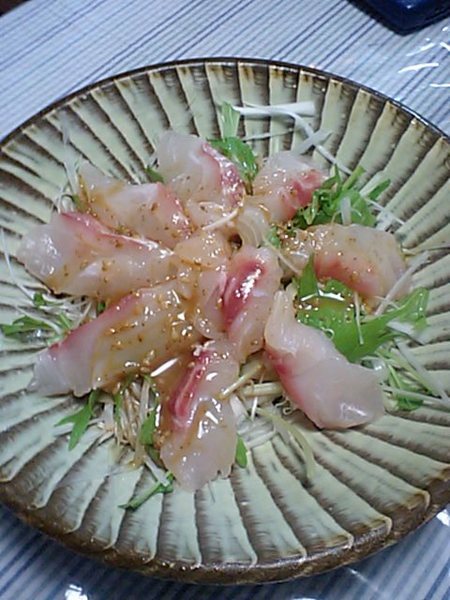 Batodai, Hanadai, Ishidai, Kinmeidai, Mekkidai, etc., but the most popular variety is called Madai/真鯛, or True Seabream. 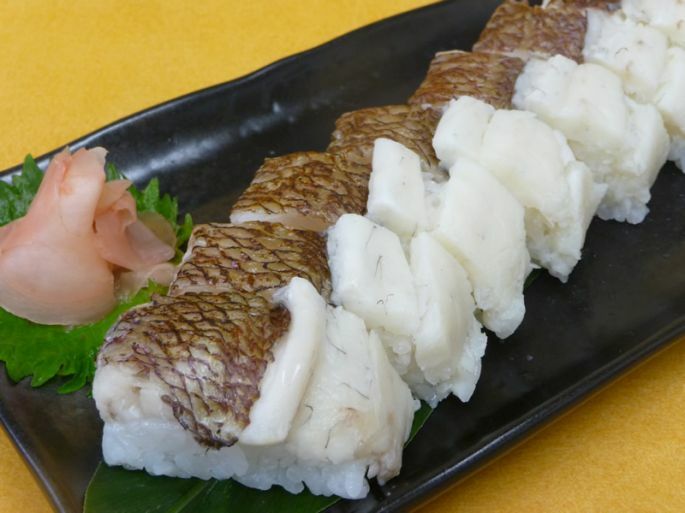 Even Madai/True Seabream is called different names depending upon the region: Oodai or Hondai. The best season streches from Winter to Spring. 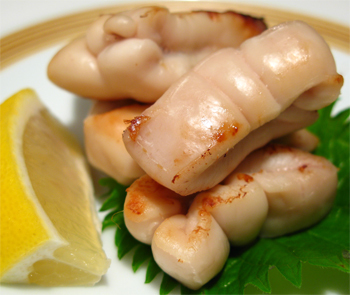 It is extensively raised by humans in Ehime, Mie and Saga Prefectures. 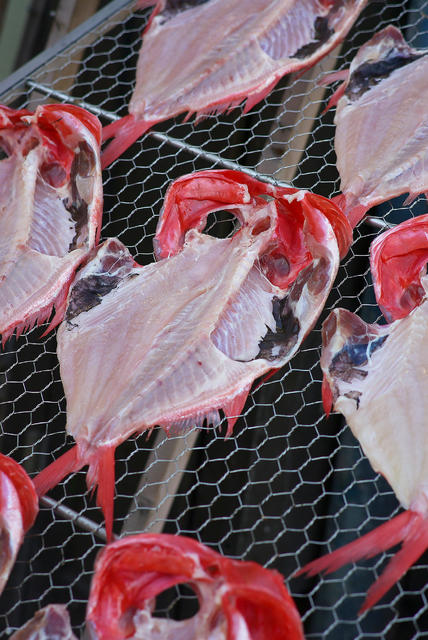 Wild specimen are mainly caught off the shores of Nagasaki, Fukuok, Kumamoto, and Yamaguchi Prefectures. 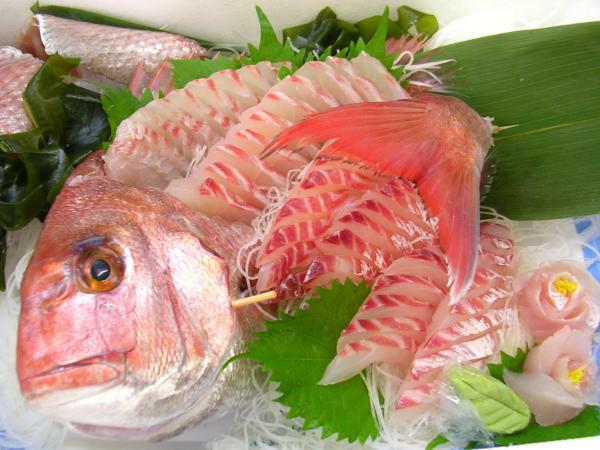 Not so many Madai are caught in Shizuoka but other varieties are abundant especially around Izu Penisula. 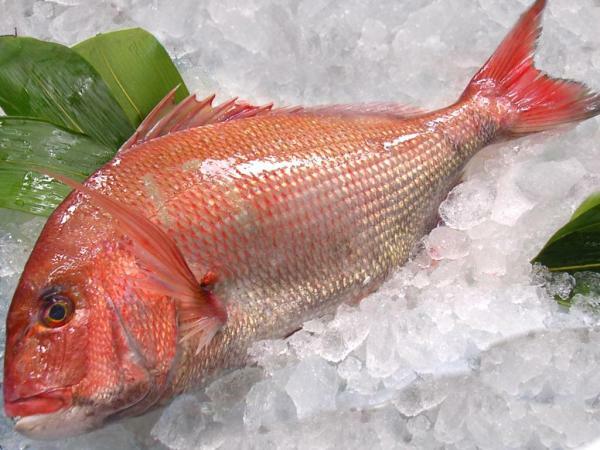 Human-raised amount to over 80,000 tonnes a year wild ones are caught at a rate inferior to 15,000 tonnes a year. Imports are relatively and account for only about 6.500 tonnes a year. 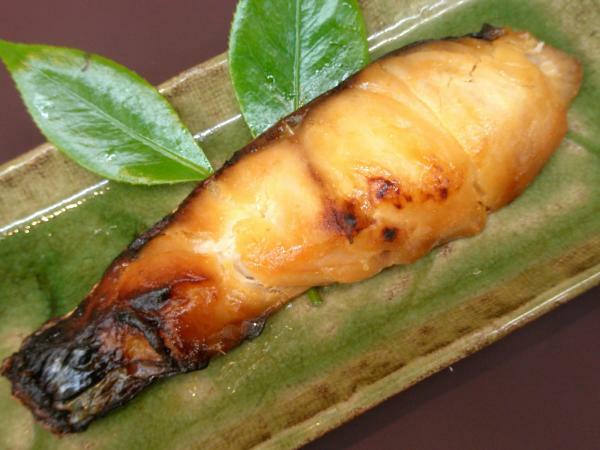 The Japanese also ove them grilled or steamed. 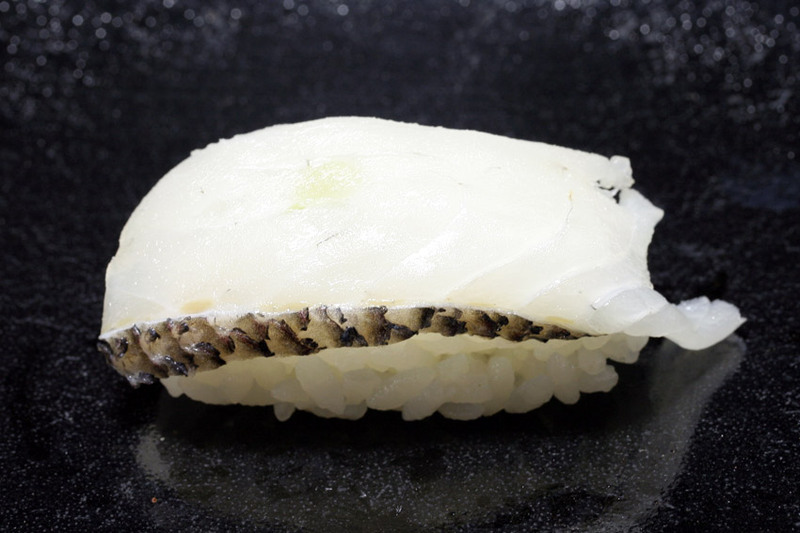 The Japanese since immemorial times have preserved the raw fish in rice miso, mirin/sweet sake and konbu/seaweed, but this has become quite an expensive morsel these days! 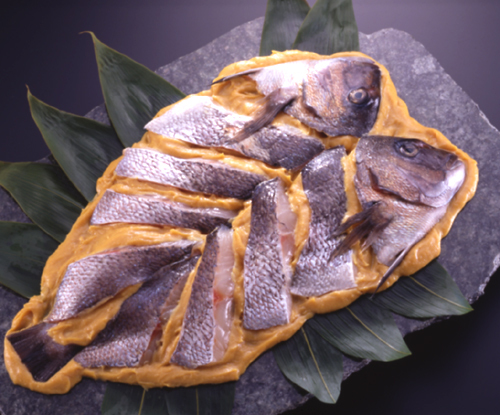 (Only relatively) lesser varieties, like Kinmedai, are appreciated as Himono/naturally dried fish, a specilaty of Shizuoka Prefecture which produces no less half of all naturally dried fish in Japan! Actually they come almost as expensive! 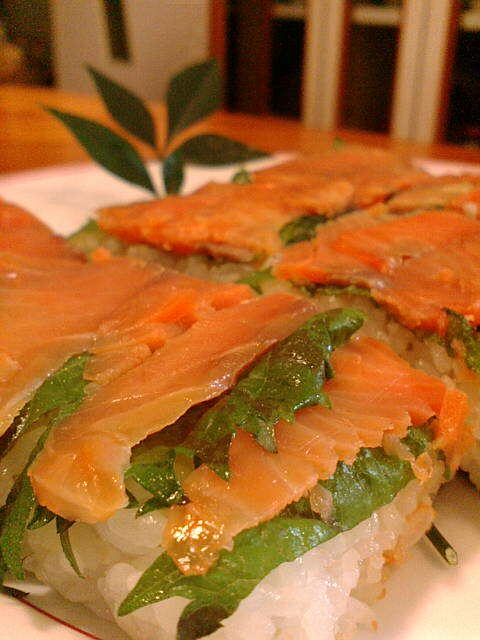 As sushi, madai (and other seabreams) are very versatile. 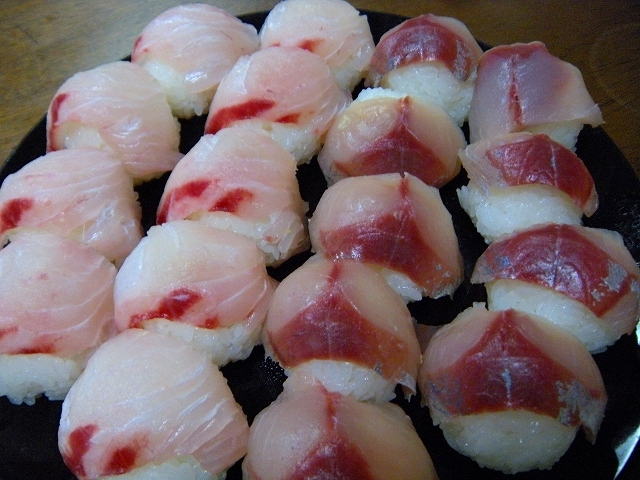 Seabream certainly looks great as temarizushi/Kyoto-style small round sushi nigiri! 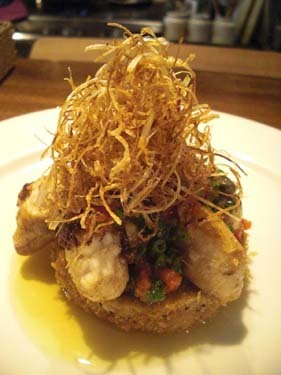 Like tara/cod, their sperm sacs of the male specimens are highly appreciated and even more expensive than those of cods. 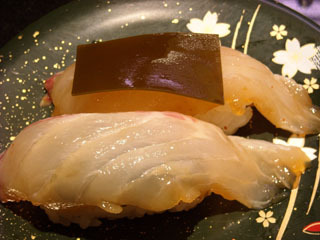 or on gunkan sushi nigiri!